*Doggie Daycare pricing subject to HST. 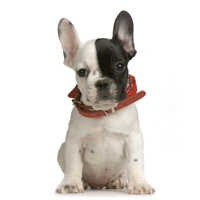 All dogs must complete a trial daycare or overnight boarding (24hr period) prior to their first day at Petopia. If your dog is staying at Petopia, we encourage you to schedule a trial overnight 2-3 weeks prior to ensure that your dog is suitable for our environment and avoid any disappointments. *Club Paws Membership pricing subject to HST. * * Please inquire about 3 or more dogs memberships. * All Long Weekend Stays must be a minimum of 2 nights and are subject to a $20 holiday surcharge *Christmas & March Break holidays – minimum 5 day bookings/charge * All Christmas holiday boarding requires a non-refundable deposit of 50% due on December 1st. * Christmas holiday reservations made after December 1st (if space is available) are payable in full and are non-refundable. *Overnight Stays pricing subject to HST.